All poly tanks ship for free within the contiguous US. Is your Ford Super Duty suffering from the Ford fuel tank delamination problem? 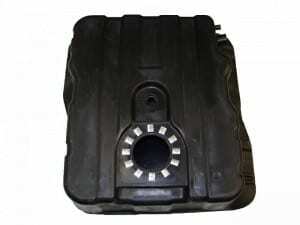 If so, order this 2000-2010 Ford F350-F550 Super Duty Series “Diesel Only” 40 gallon rear polyethylene fuel tank. This tank replaces the 6 Bolt style sending unit tank, not the lock ring style tank. This tank does NOT include sending unit. 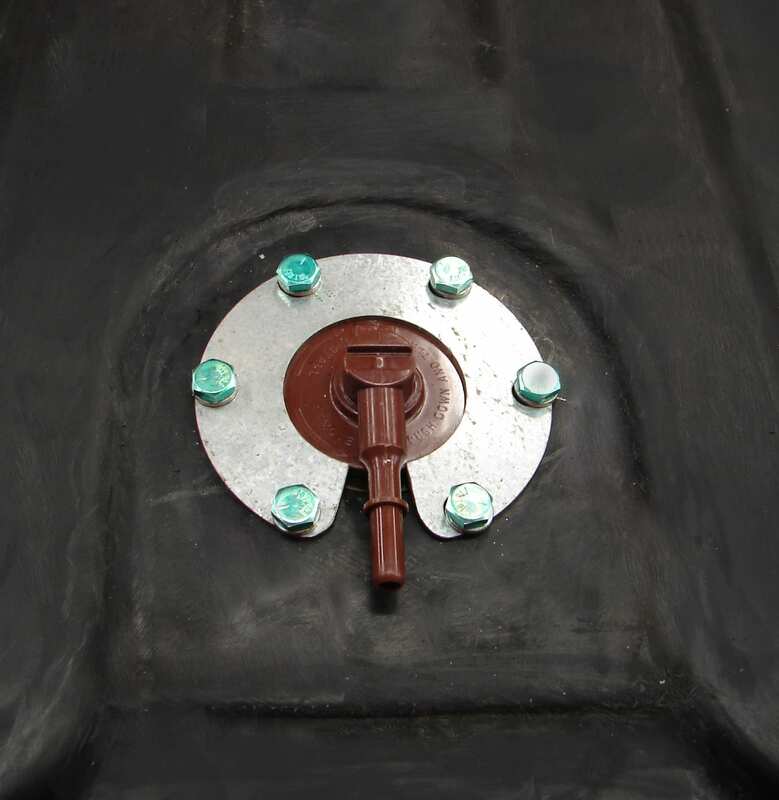 Each tank includes a specifically designed sending unit gasket(4740A-OR), 6 new bolts with a tube of thread sealer and a sending unit hold down ring. When installing the sending unit, coat each screw with the thread sealant. 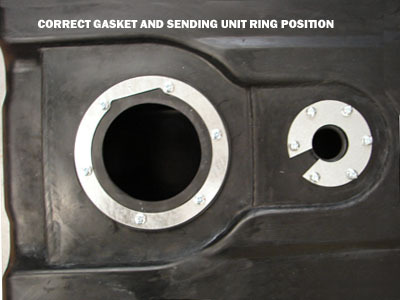 Do NOT use the OEM sending unit gasket. 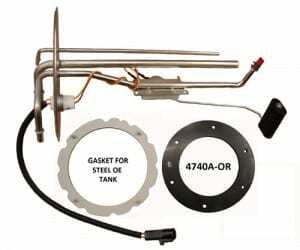 This tank does NOT include a sending unit, an EMS valve or an EMS valve gasket. The sending unit hole is approximately 4 1/2″ wide. 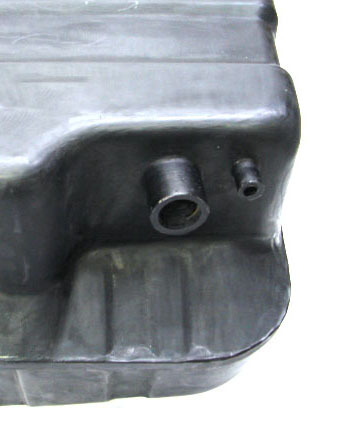 Replaces # 6C3Z-9002-F.
1999 Ford Super Duty diesel tanks have a different sending unit hole pattern. Our MTS tank will work IF you replace the sending unit with a newer style sending unit such as OEM # 8C349275HC. 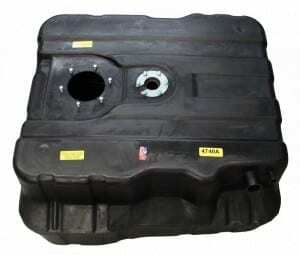 This tank replaces OEM tanks #’s: XC3Z9002AA, 6C3Z9002BA, 6C3Z900-2A, 6C3Z9002E, 6C3Z9002F, 3C3Z9002AA, 5C3Z9002BB. 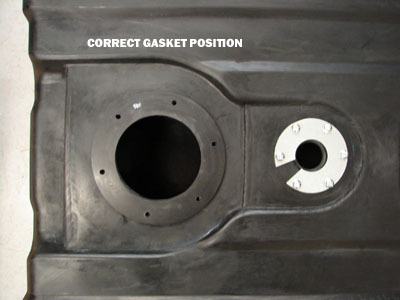 Trucks with F53 in the fifth, sixth and seventh VIN positions and have fuel tanks with OEM tank #’s 1C34-9K007-F*, 1C34-9K007-G* and 1C34-9K007-H*, are an inch shorter in length and have a larger filler pipe diameter. Our MTS tank will fit, but some custom adjustments to the straps are required. This diesel only poly tank will directly replace your existing tank that was damaged due to delamination. It fits 2000, 2001, 2002, 2003, 2004, 2005, 2006, 2007, 2008, 2009, 2010 Ford F350, F450, F550 Super Duty pickups. If you’re one of the lucky ones that have one of these Ford Super Duty trucks and have yet to encounter the delamination problem, you may want to seriously consider replacing the factory tank now in order to avoid the potential damage caused by delamination. We researched this delamination problem and wrote an article about it to help our customers make a more informed decision about whether to replace their tank or not. You can read the delamination article here. Fuel tankPerfect fit. No issues. 05 F450 6.0L.